The Ramsey Police Department is investigating three recent robberies. The Ramsey Police Department is asking that anyone with any information regarding these three incidents to contact the Ramsey Police Department at 201-327-2400. Residents are advised to be vigilant and to walk with a friend. On Monday, July 25, 2016 at approximately 2347 hours (11:47PM), a pedestrian was approached in the area of North Island Avenue and Washington Drive by two male suspects. Suspect #1 is described as a black male; about 160 pounds; approximately 5’8″ in height; thin build. Suspect #2 is described as a white male; approximately 160-170 pounds; 5’8″-5’10” in height; slender build. 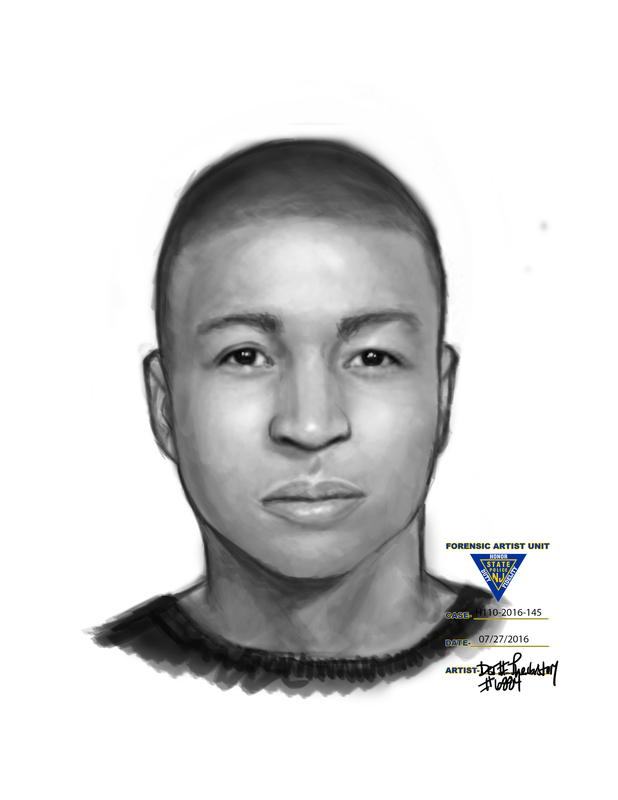 See below link for the sketch of Suspect #1. No sketch available of Suspect #2 at this time. 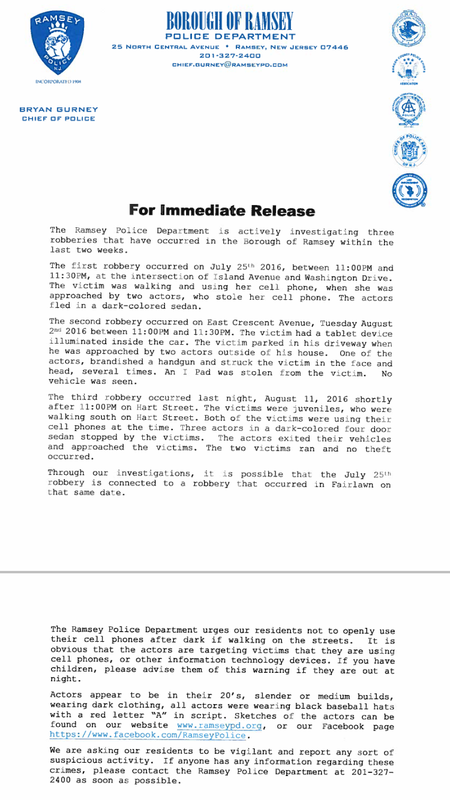 On Tuesday, August 2, 2016 at approximately 2324 hours (11:24PM), a resident of East Crescent Avenue, Ramsey, was approached by two males, one of which displayed a black handgun. Suspect #1 is described as light skinned, black male; 18-25 years old; muscular build; approximately 150-175 pounds; approximately 6’0″ in height; short, black hair. 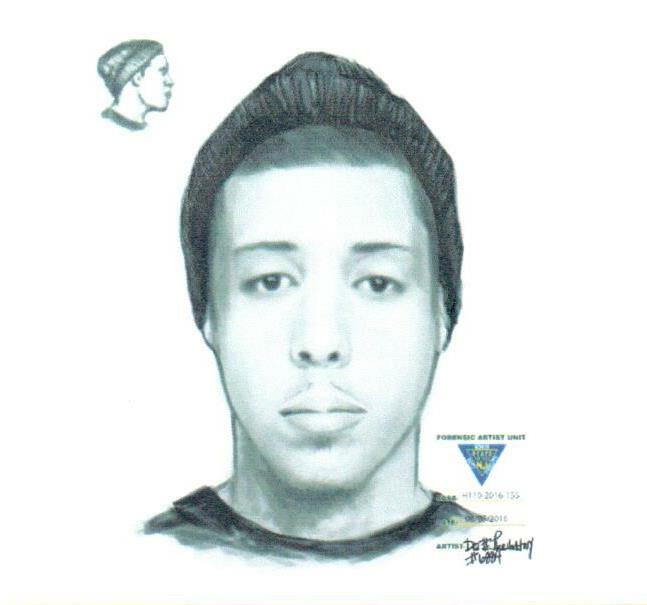 Suspect #2 is described as a black male; muscular build, approximately 6’0″ in height. See below link for the sketch of Suspect #1. No Sketch available of Suspect #2 at this time. 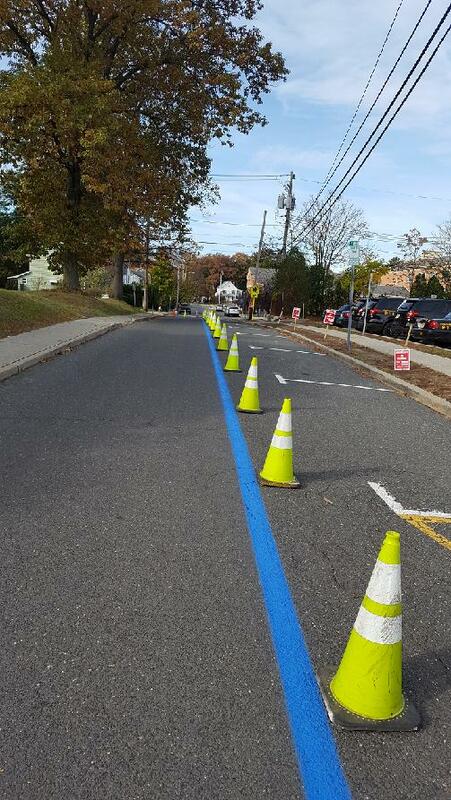 On Thursday, August 11, 2016 at approximately 2259 hours (10:59PM), two juvenile residents were walking on Hart Street while using their cell phones. Three actors in a dark-colored four door sedan stopped next to the victims. Two black male suspects exited their vehicles and approached the victims. The two victims were able to flee the scene after a brief collision with a suspect and call for help. No proceeds were taken and no weapons were shown to the victims. No sketch of the suspects available at this time.